Baseball America released its Top-100 Prospects list for the 2018 season, and six Baby Bombers made the cut. 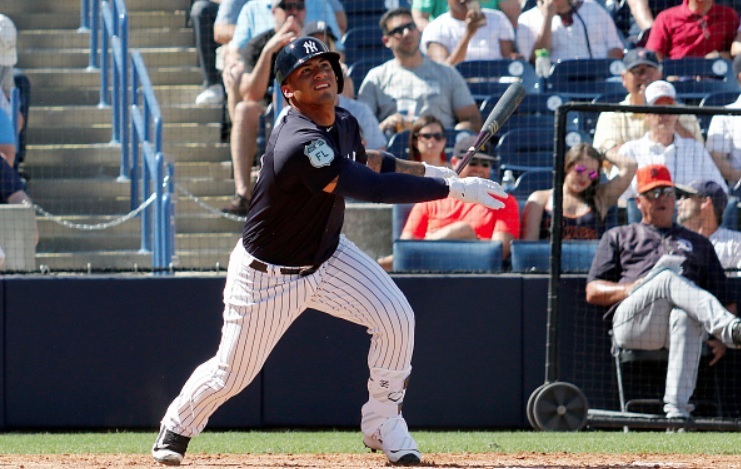 The highest ranked Yankee sits at number six and it is, unsurprisingly, Gleyber Torres. The 21-year-old shortstop is the Yankees’ number one overall prospect and has fans giddy about his possible appearance in the Bronx this season. Across Double-A and Triple-A last year, Torres hit .287/.383/.480 in 55 games. He has completed his rehab from Tommy John surgery on his non-throwing elbow and is expected to compete for an everyday role with the club. Outfielder Estevan Florial comes in at number 38. The 20-year-old split his 2017 with Tampa and Charleston, playing 110 games. He slashed .298/.372/.479 with 13 homers, 57 RBI, 77 runs and 23 stolen bags. His .850 OPS caused a lot of people to take notice and shot him up a lot of prospect lists. Justus Sheffield is the highest ranked pitching prospect in the Yankees’ system, and is number 41 on BA’s top-100. Between rookie ball and Double-A last season, the 21-year-old southpaw went 7-7 with a 3.12 ERA in 19 games. He is projected as a number two or three starter with three-plus pitches and is expected to start 2018 with Scranton. He was recently named MLB’s third best lefty prospect. Another Baby Bomber flirting with the Bigs in 2018, Miguel Andujar, lands at number 59. Holding down the hot corner between Double-A and Triple-A last season, Andujar hit .315/.352/.498 with 16 homers, 82 RBI and 66 runs across 125 games. He will be given a shot at a starting role in the Bronx, but his defense remains a work in progress and could land him in the minors to start the year. The second Yankees’ pitcher to crack the top-100, Albert Abreu, is number 77. Between rookie ball and Single-A in 2017, Abreu went 2-3 with a 3.38 ERA in 14 games (13 starts). 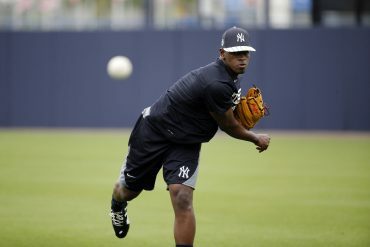 Brian Cashman recently stated he considers Abreu more advanced than Luis Severino at his stage of development, although that doesn’t necessarily guarantee success. Last but not least, Chance Adams rounds out the list at number 81. Adams, another name we’ve heard swirling in potential call-up talks for 2018, went 15-5 with an impressive 2.45 ERA in 27 games between Double-A and Triple-A last season. Former Yankee prospects who also made the list include: Jorge Mateo (No. 64), Jorge Guzman (No. 87) and Dustin Fowler (No. 88). Mateo and Fowler were sent to Oakland in the Sonny Gray trade, while Guzman was part of the Giancarlo Stanton deal. It’s safe to say the future is bright for the New York Yankees.